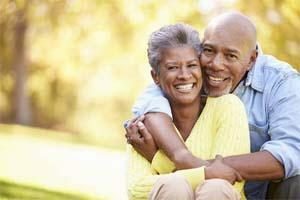 If you have been living with the inconvenience of missing teeth and are looking for a cost-effective option for tooth replacement, dentures might be an ideal solution. Custom-made dentures will restore and beautify your smile. Before you picture fake-looking false teeth, you should know that today’s prosthetics look more natural and feel more comfortable than ever. 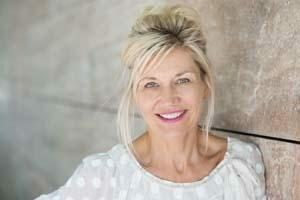 Lake Elmo dentist Dr. Katie Daniels can create dentures for you that fit well, feel great, and enhance your appearance. Whether you need a new set of dentures or you are getting dentures for the first time, Dr. Daniels will work closely with the lab to create a prosthesis that is not only comfortable but looks beautiful and natural. From start to finish, this takes approximately six weeks. If this is your first set of dentures and you still have teeth you can use to smile, sometimes we can leave just the front teeth in and remove them the day we deliver your denture. We understand how important it is to be able to smile! If you are missing many teeth, a removable partial denture is a cost-effective method of restoring your smile and function. A partial denture replaces missing teeth with artificial denture teeth and has clasps that hook onto your remaining teeth to help retain the prosthesis. Removable partial dentures may be made of flexible acrylic or a very sturdy metal and acrylic combination. One of the advantages of using a method such as this is that should you decide you do not like this option, dental implants may still be an option for you. Many people do not like the way dentures can sometimes seem to float around in their mouth. 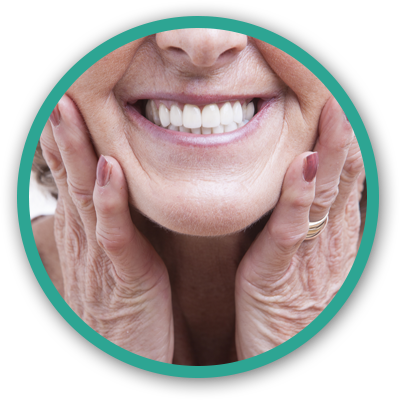 With the use of dental implants, we can help stabilize and retain a denture. Typically, two implants will be placed in the area where your canine teeth were. Attachments on the implants and your denture allow the denture to snap into place, similar to snaps on a shirt. With the use of just four implants, we are able to replace all the teeth on the top or bottom arch. The best part is, you can also have teeth to wear home the same day you have your natural teeth removed and implants placed. What makes our process so unique is the way your entire case is planned, start to finish, before any surgery takes place. Using high-tech digital software and a radiographic scan of your jaw bone, Dr. Daniels, along with a local oral surgeon, implant specialist, biomedical engineer, and lab technician will work together to plan your restoration and implant placement digitally. This allows the oral surgeon to place the implants in the healthiest bone and allows us to plan your prosthesis to best distribute forces across the implants, making surgery and the restoration more predictable. This predictability means a shorter surgery time for you and fewer appointments. If you are tired of wearing a removable denture or you have teeth that can no longer be repaired and the thought of a denture is daunting, ask us about our all-on-four process today. This restoration can change your life! Give our Lake Elmo dentists a call to find out more!